It is our goal to identify opportunities to improve the care we provide to our patients at the North Carolina Cancer Hospital. Here at the North Carolina Cancer Hospital, we are committed to continuously seeking opportunities to improve the care we provide to our patients. We have a continuous improvement infrastructure that helps us to identify and prioritize how we focus our efforts. This infrastructure includes incident learning systems, annual goal setting processes, and a team of staff and leadership who are engaged, trained and excited about making things better. One improvement identified and prioritized this year was improving operations and decreasing wait time in our Adult Oncology Infusion Clinic. The Adult Oncology Infusion Clinic, through the introduction of new triage processes and a commitment to provide access, increased patient volume from a maximum of 70 patients per day to unlimited cap, which now is often 110 patients per day or more. As a result, many patients were experiencing two hour wait times or more to receive their chemotherapy treatments. Utilizing A3 thinking, the group identified the problem, current state, target state and root causes. Then, they developed experiments based on this information that would address these concerns. One of the primary best practices the clinic implemented was a Day 1 Day 2 Model, which separates the infusion appointment from the doctor’s visit on to two different days. The hope was that it would decrease patient wait times. This new approach was officially implemented on July 2, 2018. 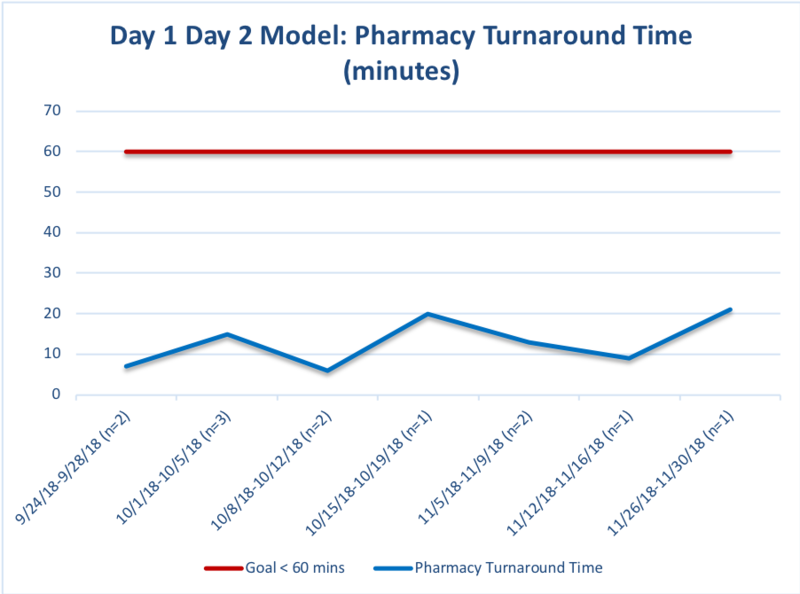 The goal for patient wait time was <75 minutes, and the goal for pharmacy turnaround time was <60 minutes. 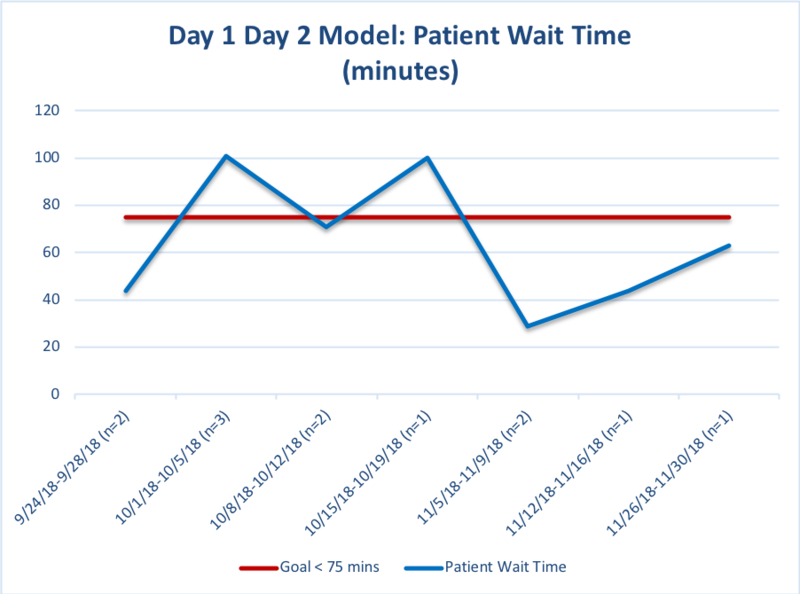 With the pilot, 12 patients have been scheduled using the Day 1 Day 2 Model. As a result, patient wait times and pharmacy turnaround times have greatly improved, demonstrating this best practice is successful. The Adult Oncology Infusion Clinic intends to enroll more patients into this new model in the coming months.